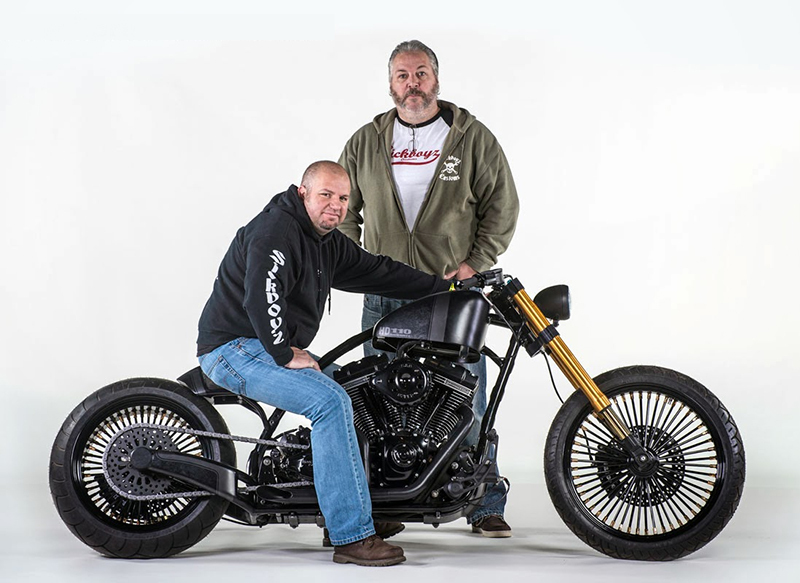 Sickboyz Customs are a multi award winning custom motorcycle manufacturer. We specialise in one off custom fabricated builds to winter servicing. Our “ONE STOP SHOP” set up means you won’t have to deal with more than one person. Our service's range from building bespoke custom motorcycles to bolting on an air cleaner. We pride ourselves in all the work we undertake and coupled with our fair pricing we make getting anything done on your bike as easy as can be. Our customer base is extremely loyal and we expect to push forward with more public engagement as time goes on. We have been featured around the globe with articles in national media and have been fortunate enough to have had several front covers of some prominent Uk and European custom motorcycle magazine. Sickboyz Customs have also been feature on “The Motorbike Show” on ITV4 and are known for supporting the UK custom industry. We have built a reputation on quality and value for money and with our clothing range people have really bought into the whole Sickboyz brand. Our goal for the foreseeable future is to carry on building cool customs and award winning bikes. To find out more, contact us on info@sickboyzcustoms.com. 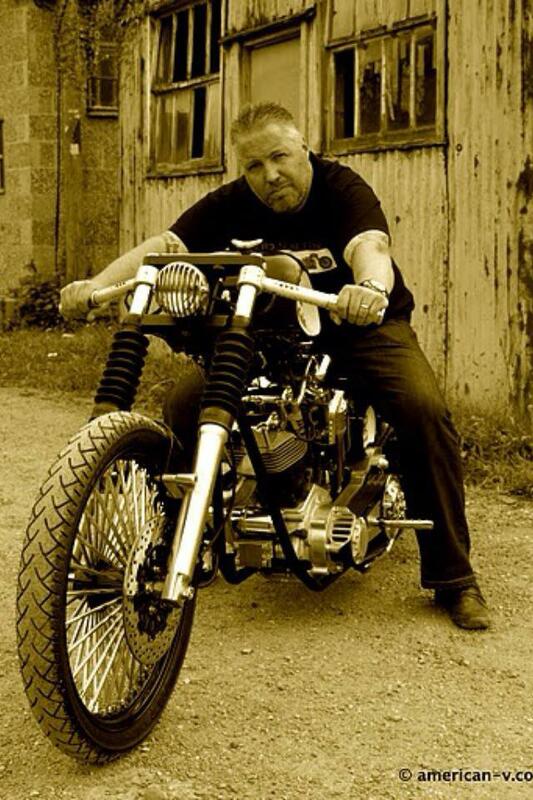 The founding member of Sickboyz Customs, who started with a very basic dream to build a couple of chops for fun and then realised that the UK custom industry would benefit from a London based custom bike shop. He has been working with metal from the age of 16 and has an eye for design, style and lines that make’s cool bikes come out of Sickboyz Customs’ stable. 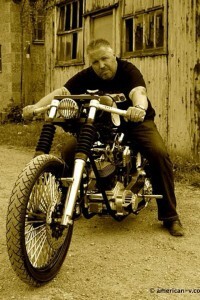 He is very well respected within the custom bike industry and is in high demand to attend most international events. 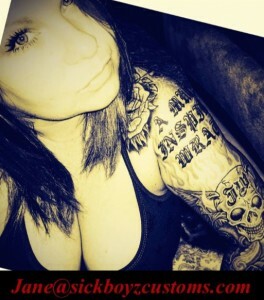 Jane has been involved in Sickboyz Customs since 2009 and was primarily there to help sell our stylish merchandise. Since being with Sickboyz she has moved our clothing range from a one design logo to a multi apparel business. Her eye for style has served Sickboyz well in the last 5 years and her drive for quality affordable clothing has put Sickboyz Customs at the forefront of custom motorcycle clothing.